Suburban Philadelphia includes some world-famous shopping opportunities, as well as some hidden Main Street gems. Here are six shopping sites you should experience when you visit Philadelphia and South Jersey, all within an hour of Center City. The King of Prussia Mall (sometimes called "K of P" or "K.O.P." by locals) is expansive. Going by retail space, it is America's largest shopping mall. The mall is divided into two sections: the court and the plaza, connected by a breezeway. Visitors should expect to spend at least an entire day at the mall. Additionally, this shopping location is upscale, and some people consider it a true event to go there. You'll feel a bit under-dressed in jeans and a T-shirt. Parking is free; valet parking is also available near Neiman Marcus. If you plan on visiting, check out the mall's website and download a map. Willow Grove Park Mall (locally referred to as "Willow Grove Mall") sits on a historical location, as evidenced by the functioning carousel in the mall. This mall provides an inclusive shopping experience with stores offering both the kitschy and the upscale. It features a full parking garage. A complete mall trip takes approximately five to seven hours. Parking is free. Located in South Jersey, this mall is actually closer to some parts of Philadelphia than the listed Pennsylvania malls. Renovated in 2011, the mall features open spaces and kiosk shopping. Prior to that, it had a bad reputation, and as a result, it's often less crowded than other area malls despite its makeover. If you happen to be in the area on Black Friday, this is the place to go for the least crowds and best deals. Parking is free. Additional malls worth checking out include Philadelphia Mills Mall, Deptford Mall (New Jersey), and Plymouth Meeting Mall. You might find this Main Street shopping area familiar -- it was featured in the movie "Signs." This is an ideal shopping location for antiquers. It's also a hot spot for used books and music shopping and features several food specialty stores. It's a family-friendly location. Plan a few hours for shopping, but add some time for dining and observing the historical homes located here. Bring quarters for metered parking. Founded as an artists' colony, you'll find many crafts in that tradition. Additionally, New Hope is a haven for the LGBT community, bikers, free spirits, and pagans. Restaurants and other activities are interspersed throughout the shopping area. This is a great place to shop if you don't really want to plan your day out. Though some of the shops are open late, daytime shopping is recommended, as the night crowd tends to come out primarily for plays, drinks, and dining. Located in Mount Holly, New Jersey, Mill Race Village focuses on the arts. If you're in the market for quilts, jewelry, a gift for your pet, an antique treasure, ghost-hunting equipment, or an edgy new style, this is the place for you. The variety of shops here is personal and eclectic. Parking is free, though shop hours are limited. If you're staying all day, be sure to check out the village's own simulated séance experience (reservations required). Additionally, Mill Race Village hosts multiple special events each year, including the famous Witches Ball. 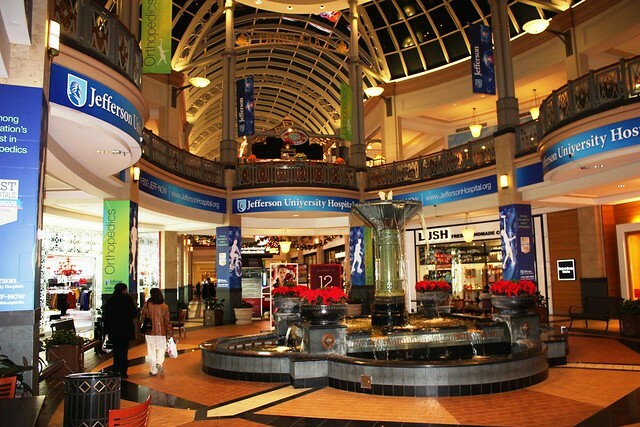 Whether you're interested in planning a trip to a large mall or shopping riverside, the Philadelphia area offers a serious shopping experience for any traveler. This article was originally published on the Yahoo Contributor Network. 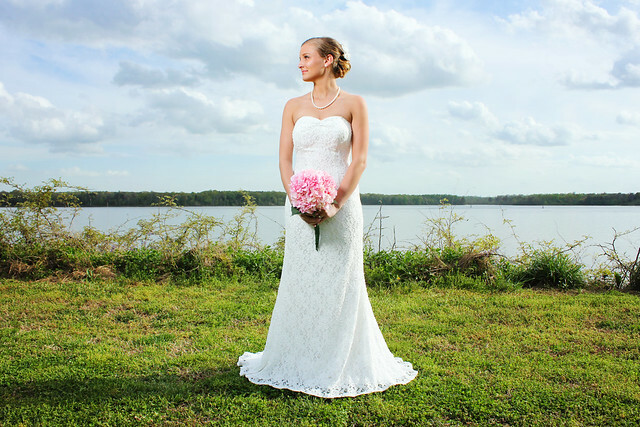 Stress-free wedding dress shopping might seem like a dream, but it is possible to enjoy the experience of shopping for your wedding dress in South Jersey. You can achieve this through planning, patience and maintaining an assertive attitude when necessary. If you’re meeting friends at various bridal salons, provide them with a list of addresses to stay on track. Organize a car pool and ensure that everyone has a GPS or knows how to get to the locations. Each bridal salon has its own rules. Frequent rules include: supervise children, no food or drink and no photos allowed of dresses. Always follow the rules and don’t invite anyone along that may break these rules. Bridal salon consultants vary, just like salon rules. If you feel uncomfortable, mistreated or misdirected, you’re the customer—and you’re allowed to leave if you don’t feel you’re being treated with respect. To cut down on stress and make best use of your time, call ahead to make appointments. It is kind to let the salon know how many will come with you and what types of dresses you are looking for. You may also wish to mention if you or anyone in your bridal party wears a plus size. Prepare everyone for the fact that bridal sizes are much different than actual sizes and that a ‘regular’ size 12 might have difficulty fitting into any sample sizes. Tip: Holding down a full-time job while planning a wedding is tough. Instead of cramming this important decision into a lunch hour, explain your situation to the salon consultant and mention a particular dress you’d like to try on that isn’t available elsewhere. Most likely, they’ll squeeze you in. Limit your party size. If possible, limit to the number of people that can fit in one vehicle, especially if you are making multiple trips. Make concessions for older relatives and children who may not be able to make more than a few stops in one day. It’s best to pick a driver who knows South Jersey well. You’re the bride—let someone else handle the GPS navigation! Do you have any favorite South Jersey bridal salons or dress shopping experiences? Please share them in the comments! 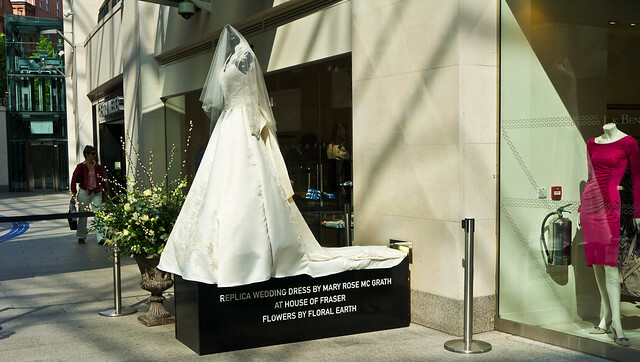 The secret's out: Kate Middleton's wedding dress was designed by Sarah Burton in the Alexander McQueen tradition. South Jersey brides wishing to emulate the fashionable, critic-favored design have several options for a Kate-inspired dress. While dresses with long sleeves aren't the norm, here's a bridal fashion secret: boutiques and tailors can adapt most sleeveless dresses to include light sleeves. Some religious institutions require a bride to wear a modest wedding gown, so this request is not as uncommon as you may think. However, the Duchess of Cambridge has created a trend--so expect to see more dresses with lace sleeves and other embellishments in stock soon. Did you enjoy the elegant train on Kate's dress? Brides planning an Atlantic City beach wedding should take note of Kate's sister, Pippa. Pippa dutifully performed her maid of honor obligations by minding the train of her sister's dress. While wedding dresses are cleaned before they are preserved, the maid of honor can prevent dirt and sand from clinging to the bride's dress in excess--especially during a beach wedding--by assisting the bride with her train when she moves. Are you ready to emulate Kate's look? The following local boutiques can help! Search for a boutique local to you at NJWedding.com.